My lovelies, how are you feeling? In our end, it seems to be already the season of sneezing, sniffling or coughing. Yup, no matter where I look, I feel like everyone would certainly benefit from a warm drink and a day spent on a sofa under a cozy blanket. Even, Balazs and I’ve been battling a cold but the one thing that really helped was this flavoured honey. 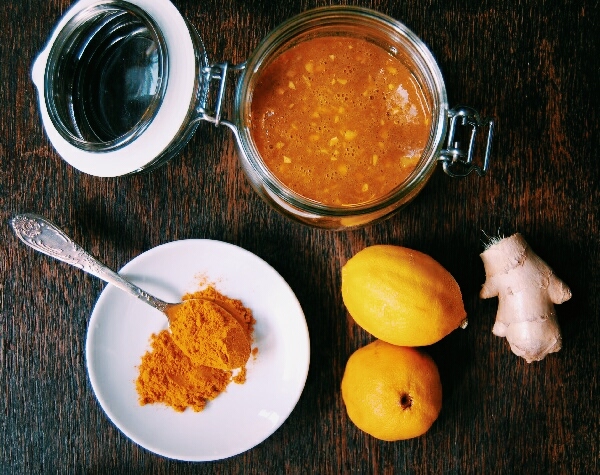 It’s a wonderful mix of ginger (with its antibiotic qualities), turmeric (strong antioxidant and powerful body cleanser), lemon zest (aka immunity booster) and a dash of black pepper. It goes amazingly with a hot afternoon tea or on its own in a cup of hot water. Stir together all ingredients in a bowl. Taste and add more ginger or turmeric if needed. 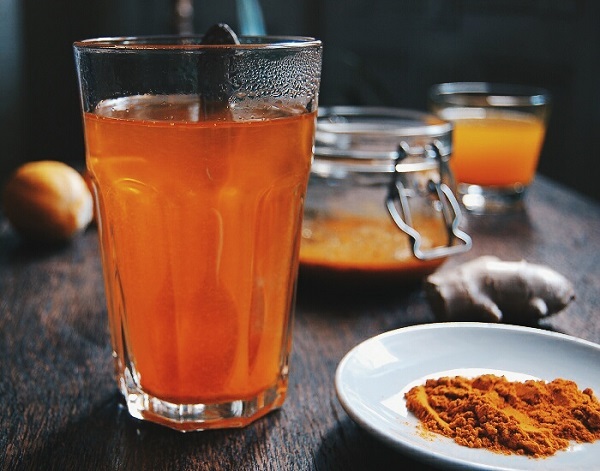 Aim for a really strong flavour, you’ll only add a few teaspoons to a cup of water. Store it in a glass container. Boil a cup of water and let slightly cool (to keep the benefits from the honey intact), stir in a few teaspoons of the honey mixture and drink. You can also add this to your favourite brewed tea. P.P.S: To keep the flu away. Oh WOW, this must be amazing with a cup of tea! And the color? So pretty! I really think I'm going to love its taste. Thanks for sharing. Still here in the tropics I am blessed to be able to get hold of fresh tumeric. 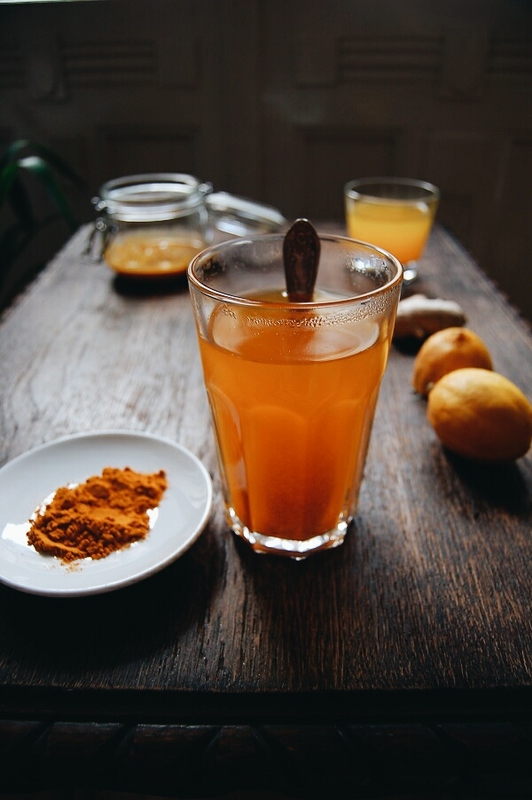 This is an elixir I drink every month, where I cook water, finely sliced tumeric, some lemongrass and cayenne pepper. let it simmer for about 5 minutes or so. Then I add lemon and honey. I swear it has kept my immune system strong for all these months. (The Cayenne pepper has the added bonus of kick starting your metabolism at the beginning of the day). My pleasure, Ann! I love the taste of it so much.